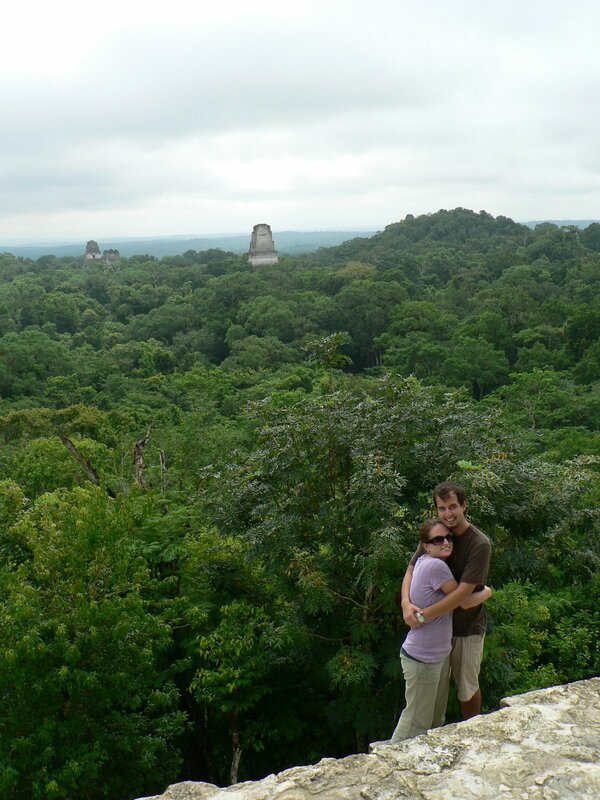 We spent last weekend visiting the Mayan ruins of Tikal, Guatemala. They’re about a 7 hour drive from San Pedro Sula and we had Monday off so we figured it was the perfect opportunity to head north and spent some time in the jungle. 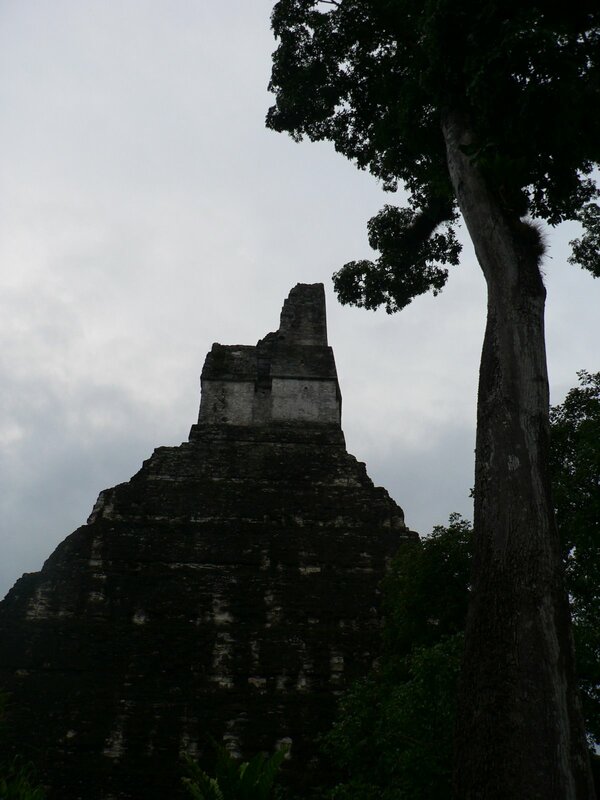 Tikal is very different from Copan (the Mayan ruins in Honduras). 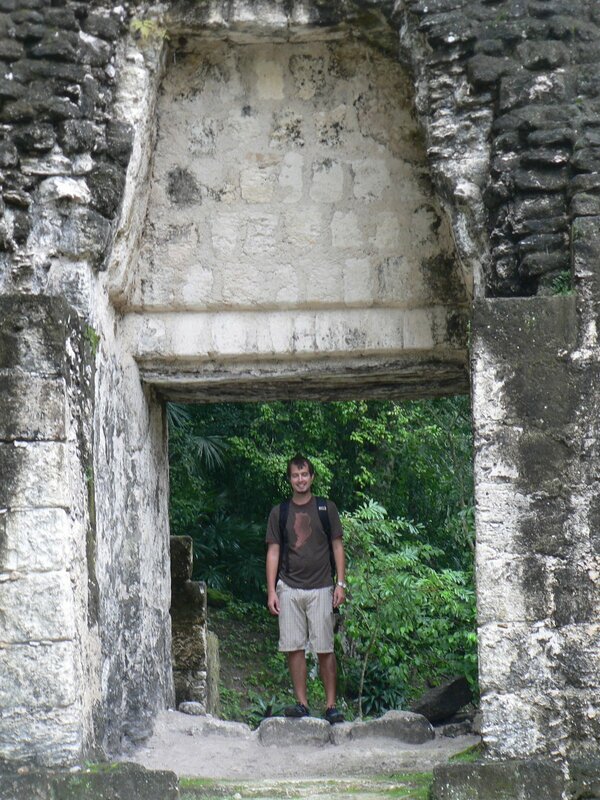 Much of the jungle around the ruins in Copan has been cleared, leaving a well maintained feel to the site. 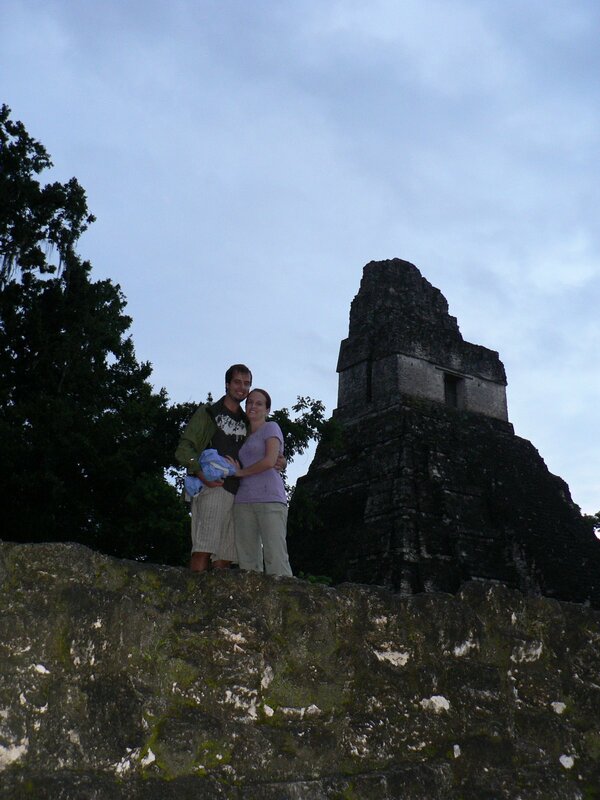 Tikal, on the other hand, is much more spread out with different trails through the jungle connecting the temples. The feel of this site is much more rustic and ancient. I love both sets of ruins and it was interesting to see something that was so different than the Mayan ruins I am used to. 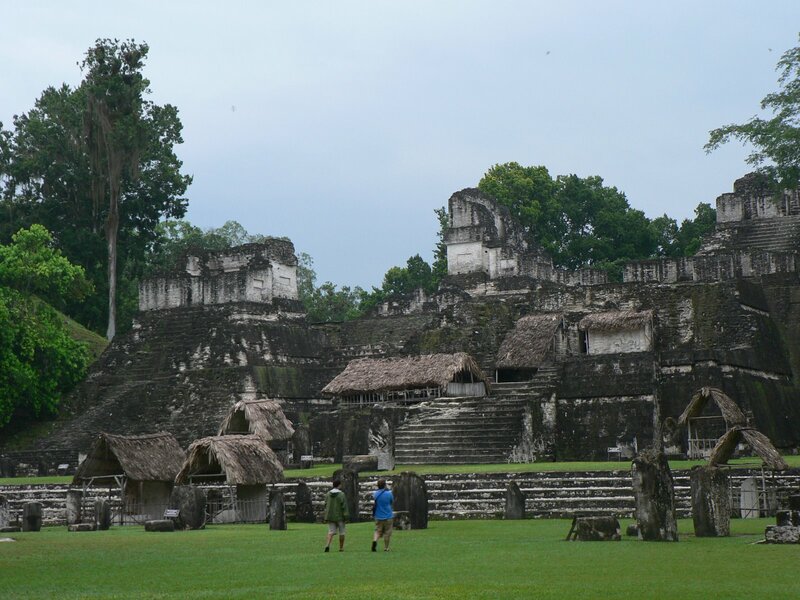 Like I said, Tikal is muuuch more spread out! Each path led to a different grouping of buildings or pyramids. We wandered around the ruins for 2 hours the first night and nearly 6 hours the next morning…and we still didn’t see everything! 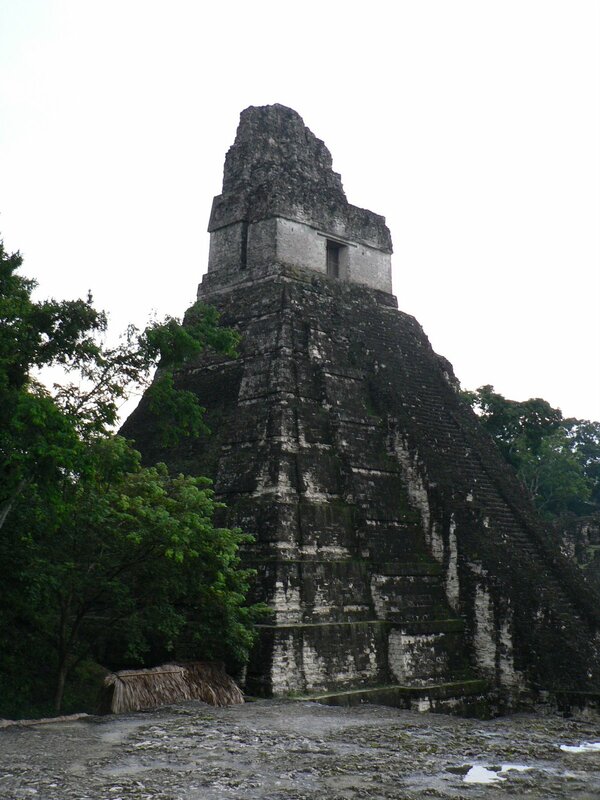 The ruins in Tikal are made up of small groups of lower buildings and then these massive pyramid shaped temples. 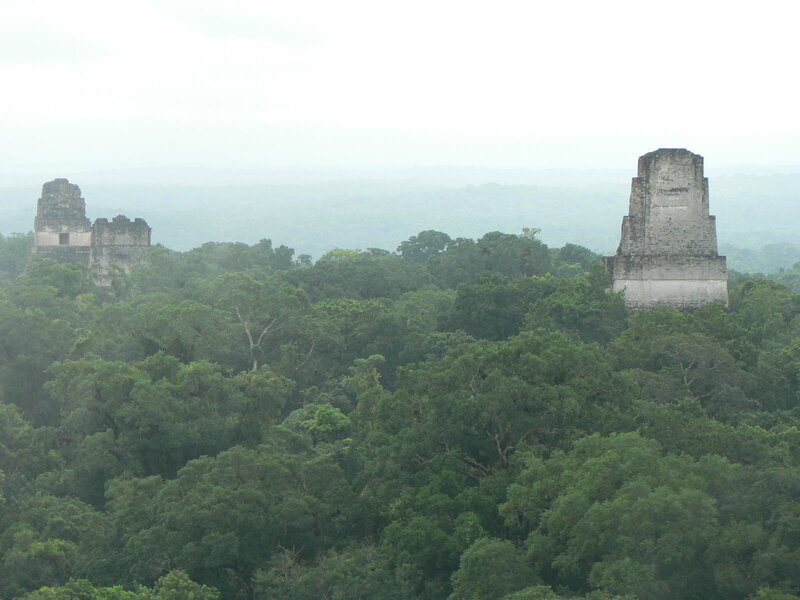 The pyramids are among the highest Mayan ruins in existence. The central plaza area of the ruins includes these little huts over some of the more delicate sculptures and statues. There were also wild turkeys wandering around the steps while we explored here. The main plaza is flanked by two large pyramids. Because of safety (the pyramid stairs are suuuper steep) you can only climb one of the pyramids in the main plaza. They have added a set of wooden stairs so that you aren’t actually climbing directly on the pyramid until you get to the top. This was our view looking out once we reached the top. 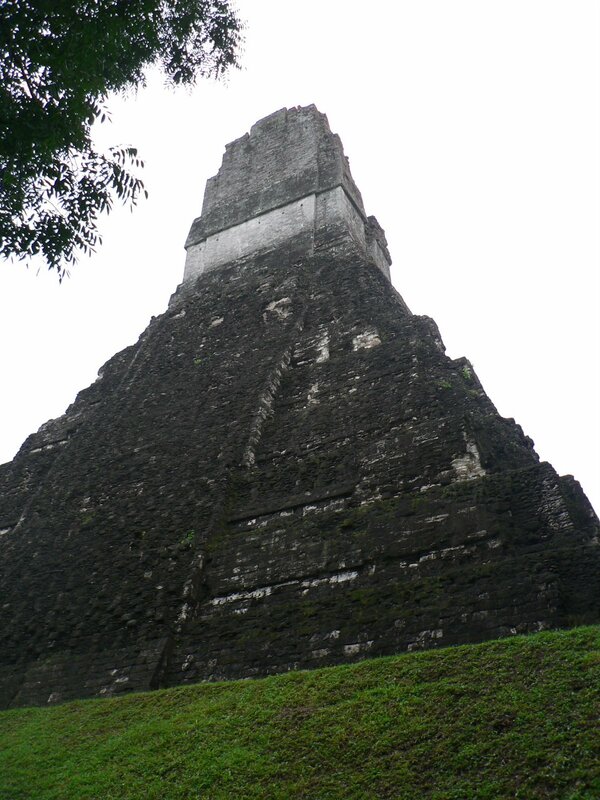 Temple 4 is the highest of the pyramids at Tikal and once you’re at the top you can see out over the top of the jungle. From this point of view you can see the first temple we climbed (on the left) as well as Temple 3 on the right. It looks a little foggy because we are looking down on a cloud forest! It was a little scary to stand so close to the edge! I knew I was becoming more afraid of heights as an adult, but this was definitely confirmed as we wandered around the top of the pyramids. 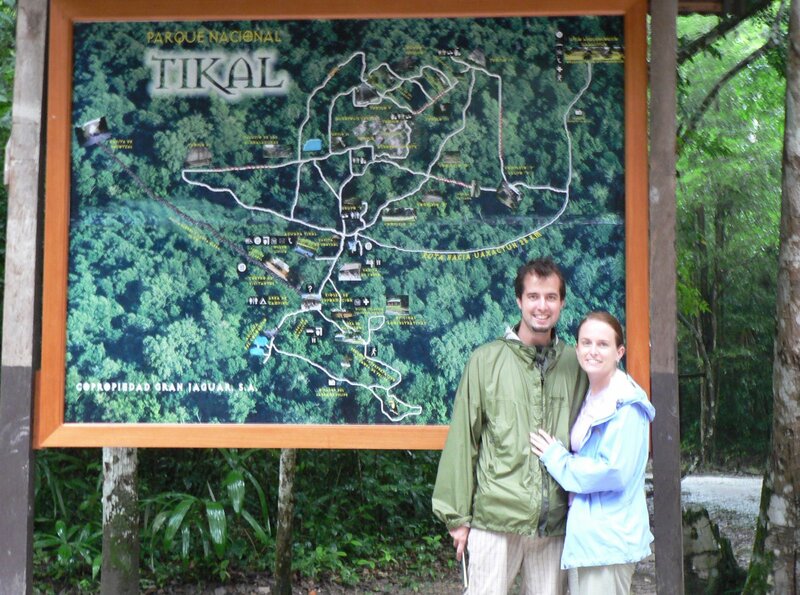 It was pretty rainy our whole weekend in Tikal so we pretty much carried our raincoats everywhere. Luckily it only rains off and on though so we had plenty of time to explore without getting soaked. It was so rainy when we were there because it is rainy season right now…also meaning it’s low season. This was great because we practically had the park to ourselves! Many of the areas we explored were completely empty of other tourists. 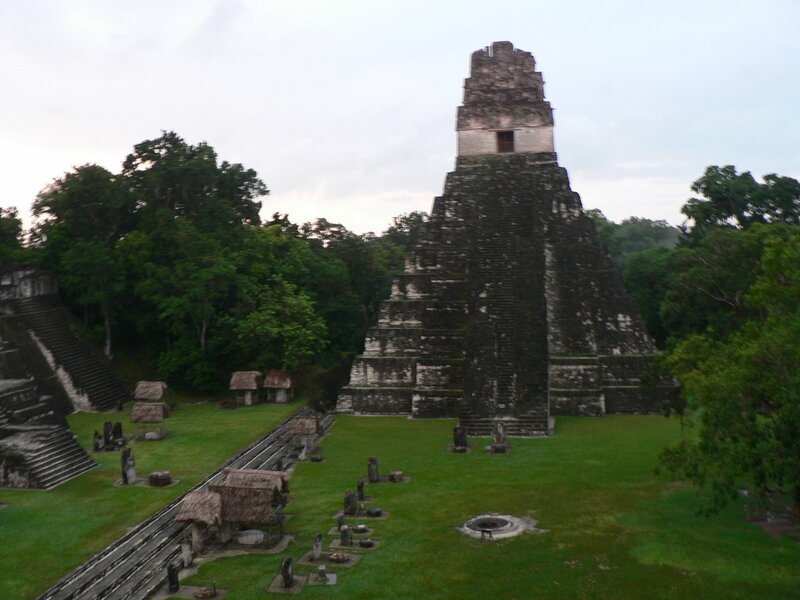 Posted in Guatemala, TripsBookmark the permalink.